Discover this Usti nad Labem hotel offering some of the most gracious accommodations to be found while touring Northern Bohemia. This newly renovated BEST WESTERN Hotel Vladimir is ideally situated in the heart of the city of Usti nad Labem in Northern Bohemia meeting the needs of international business travelers as well as those traveling for pleasure. The BEST WESTERN Hotel Vladimir offers guests well-appointed guest rooms featuring all the amenities that make a difference while traveling including WiFi Internet access. The hotel features on-site dining and entertainment options including a restaurant, bar and cafe. Guests are welcome to enjoy a complimentary full breakfast every morning. Other hotel amenities include a secure parking lot, business center, catering services and conference facilities that accommodate up t0 350 guests. Guests will enjoy spending an afternoon touring the sites and scenic countryside of Usti nad Labem. The BEST WESTERN Hotel Vladimir is located a short distance from St. Adalbert Church, Castle Schreckenstein, Strekov Castle, the Erz Mountains and a variety of premier theaters. Guests will appreciate this North Bohemia hotel's close proximity to the nearby cities of Prague and Dresden, Germany. 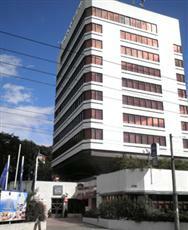 This Usti nad Labem hotel prides itself on providing dedicated, personal service. Make an online reservation today at the BEST WESTERN Hotel Vladimir!